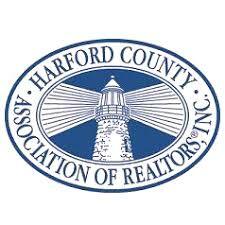 The Harford County Association of REALTORS is an organization that exists to provide the best available services, programs and education for its members to become and remain top professional real estate practitioners so they may serve their customers and clients with the highest ethical standards and professional service they deserve. Chartered in 1960 by the National Association of REALTORS, the Association currently boasts more than 1,350 members and works to protect private property rights and promote homeownership in our local communities. Jeff Gahler is a 40 year resident of Harford County and resides in the Forest Hill Community with his wife Sonya, and their two daughters, Shelby and Sydney. He is a North Harford High School and Harford Community College graduate and obtained both his Bachelor of Science and Master of Science degrees in Management from Johns Hopkins University. Sheriff Gahler is a past member of the adjunct faculty within the Public Safety Leadership Program at the Johns Hopkins University and is a former operating partner with the Advanced Leadership Consortium, a company committed to providing quality training and consulting services to public safety organizations and private businesses. Prior to being elected as Harford County’s Sheriff in 2014, Jeff Gahler had served 28 years as a sworn member of the Maryland State Police, retiring as a command member in 2012.